DECOY MAGAZINE HOME - Welcome to Decoy Magazine, the premier place for collectors and antique lovers alike. 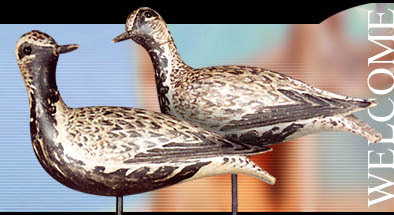 We specialize in all types of decoys - duck decoys, fish decoys, owl decoys, any decoy you can imagine! NEW! Introducing our new online Decoy Marketplace! 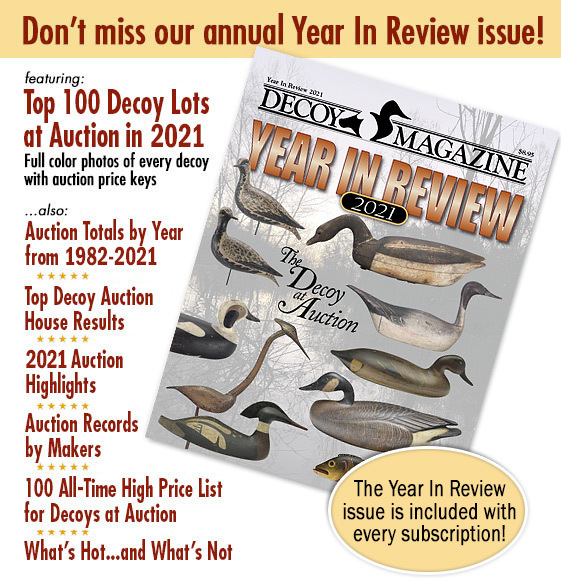 Although Decoy Magazine's editor and publisher Joe Engers has been buying and selling decoys for nearly 30 years, this is the first time we have offered them for sale on our website. All of the decoys and decoratives listed are guaranteed as described and we offer a return policy if you are in any way dissatisfied with your purchase. Browse through over 100 decoys for sale and remember to check back often, as more are being added all the time! 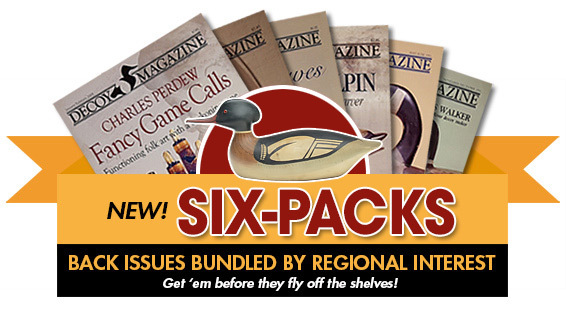 Collectors and decoy enthusiasts will love our new Six-Packs! Now you can buy bundled back issues that feature articles on decoys and carvers which are specific to your regional interest, at less than the cost of buying each individual issue. Our pre-selected packs include the following categories: Southern decoys; Coastal New Jersey decoys; Delaware River decoys; Factory decoys; Midwest decoys; Illinois River decoys; New England decoys; Susquehanna Flats decoys and Canadian decoys. You also have the option of creating your own custom Six-Packs from our list of available back issues. The savings multiply if you buy two or four Six-Packs! Four-pack bundles are available too. Click here to find out more!